Cooliris, Silicon Valley’s leader in immersive media experiences on mobile and desktop, and Baidu, China’s largest search engine with over 100 million users, today announce a partnership to offer a killer next-generation media experience on mobile phones in worlds largest smartphone market. With today’s release of the Cooliris app for iPhone and iPad, users of Baidu MyCloud, Baidu’s personal cloud storage service, will be able to enjoy all their stored photos on-the-go with Cooliris’ mobile application. Cooliris users in China are now just one tap away from the two billion photos connected in the Cooliris app. Combining earlier successful partnerships with Tencent Weibo, China’s largest microblogging site and Renren, China’s largest real-name social network the new integration with Baidu MyCloud, the Cooliris app now delivers a comprehensive suite of media services. Chinese users can easily connect photos from their device, social networks and now cloud storage services all in one place. 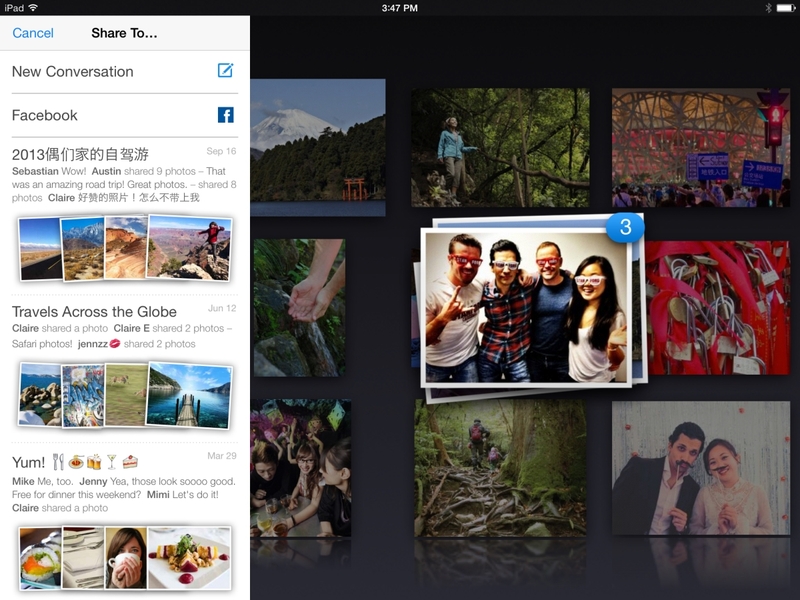 Users can also discover, experience and share these photos selectively with groups of close friends. The Cooliris app is localized in simplified and traditional Chinese. Cooliris is the first international developer to make use of the complete suite of APIs offered by Baidu MyCloud. “Baidu offers a terrific way for international developers to reach China’s fast-growing mobile Internet market, and working with a leading Valley company like Cooliris will help us build an open cloud ecosystem that extends beyond China,” said Hou Zhenyu, Chief Architect of Baidu Cloud. The new version of Cooliris is available for free for the iPad and iPhone in the iTunes App Store. Cooliris will be adding support for Android users in the upcoming months. Cooliris has reached #1 ranking for Photo/Video category in the Apple app store and Thailand is their top 15 country for downloads. Bangkok, itself, is a top 10 city for number of sessions out of 16,000 cities.